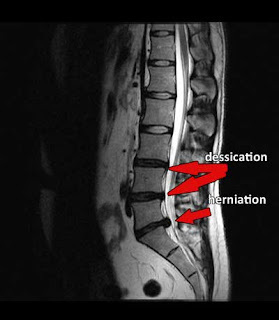 This is some new data that will be presented that shows how effective the DRX 9000 is in treating patients with herniated discs. The clinical results of an IRB-approved prospective, multi-center, phase II, non-randomized pilot study utilizing the DRX9000™ will be presented by three of its authors at the New York State Society of Anesthesiologists PGA meeting in New York, NY December 7 – 11, 2007. The study, authored by Dr. John Leslie of The Mayo Clinic and others, was designed to evaluate the effectiveness and safety of the DRX9000 in the treatment of chronic lower back pain. Patients enrolled in the study had suffered an overall average of ten years of chronic back pain. After two weeks of treatments on the DRX9000 there was a 50% reduction in pain scores and upon completion of the entire six week protocol an amazing success rate of 88.9% was documented. The patients also reported an improvement in their Oswestry Disability score. Abstracts and copies of the presentation will be made available following the presentation at the New York State society of Anesthesiologists PGA meeting.